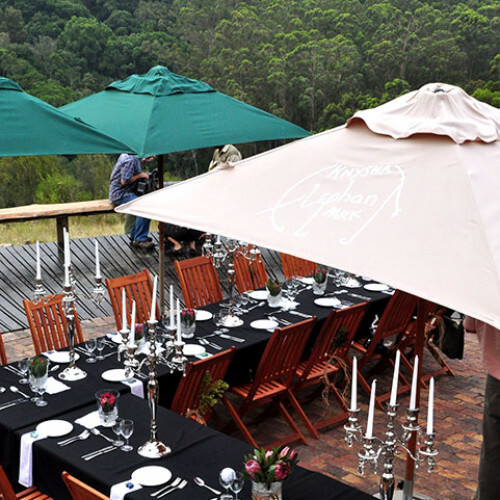 The Knysna Elephant Park also offers a unique and affordable venue for weddings, conferences and other events. 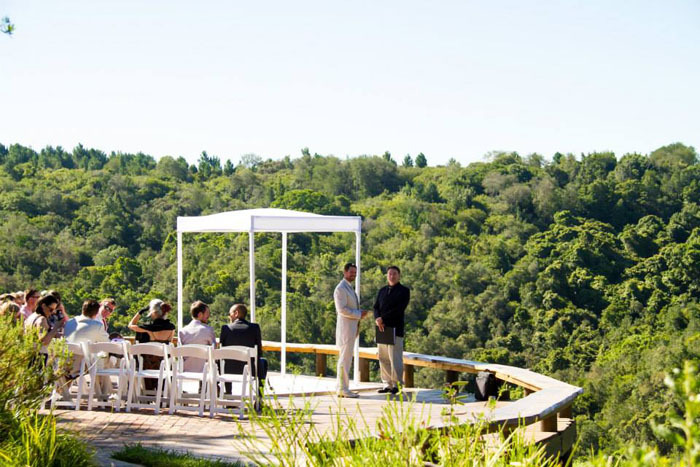 The chapel and adjoining reception venue, the Lapa, are both beautifully situated at the edge of pristine indigenous forest and overlook the Outeniqua and Tsitsikamma mountain ranges, providing the perfect backdrop for your occasion. The venue can accommodate up to 120 guests. 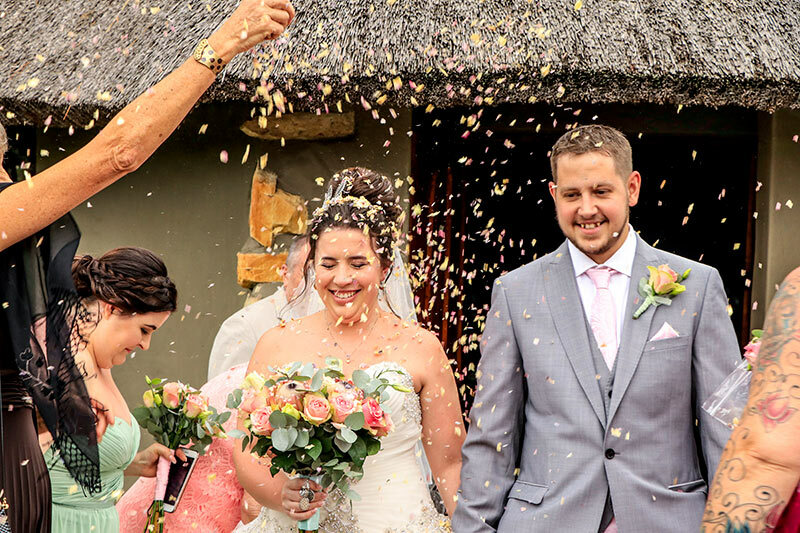 Natural wooden details and thatched roofs offer a unique African feel and the large windows and open plan design allows for the inclusion of the beautiful 180 degree views being included in your special day. 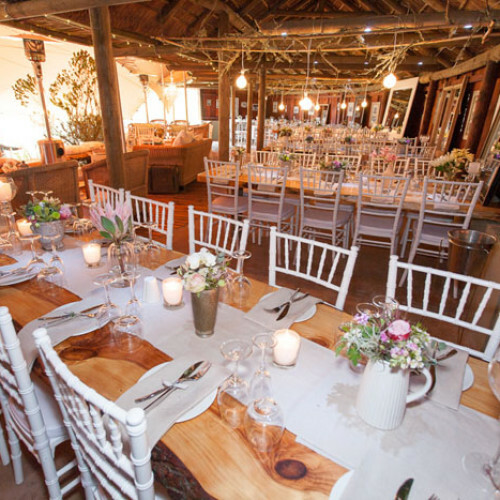 The venue offers a special touch of Africa and yet adapts easily to a variety of themes and décor, to suit your specific requirements and theme. 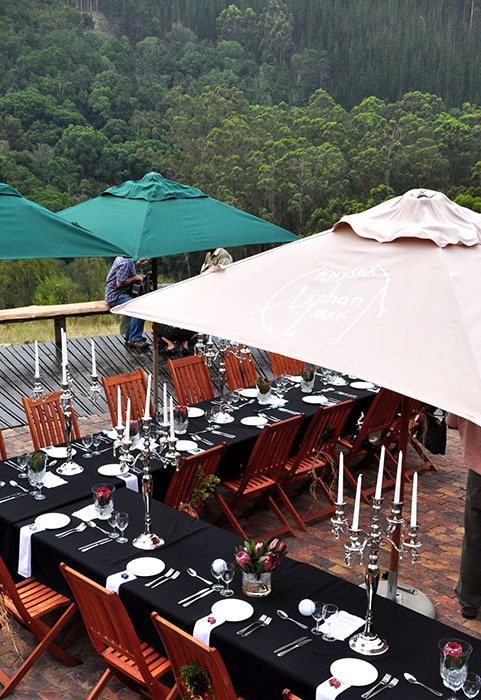 Wooden tables and chairs are included in the package, but you are welcome to hire additional furniture if required. 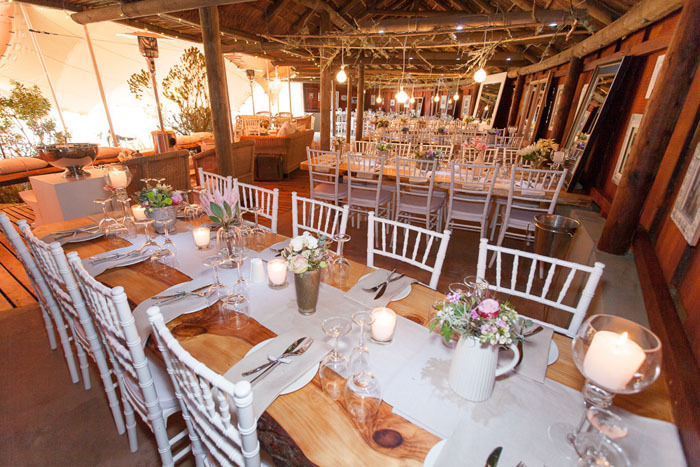 The lapa has proved to be a highly adaptable space, allowing for a relaxed, rustic feel, as well as a sophisticated, elegant affair…the choice is yours. 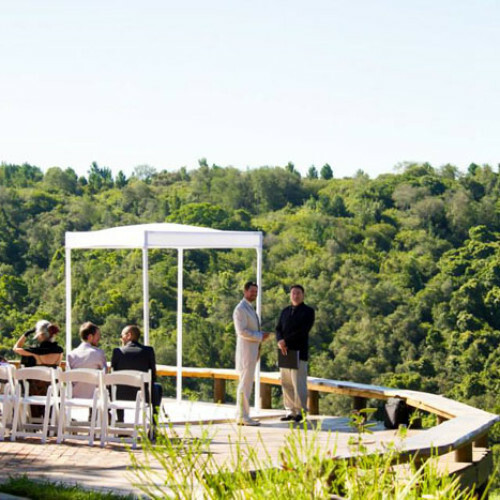 From an intimate low-key event to all-out spectacular glamour, this venue allows your dreams to take shape. A vast deck and kitchen complete the facilities. The space allows for a choice of table arrangements, dance floors, catering and dj’s. 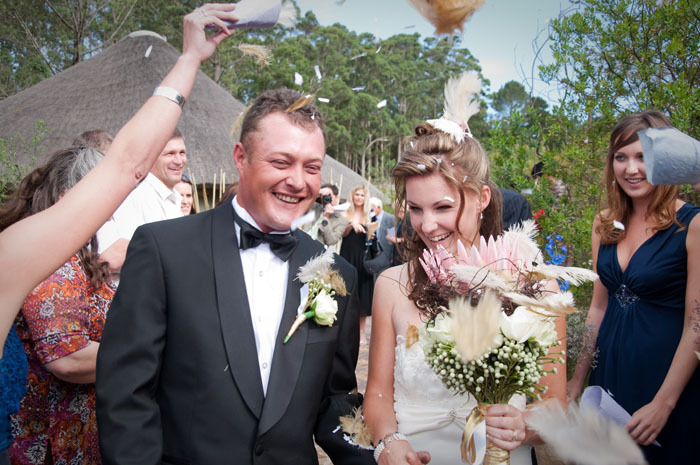 The venue is perfectly suited for stretch canvas tents, which can be easily hired from local suppliers. 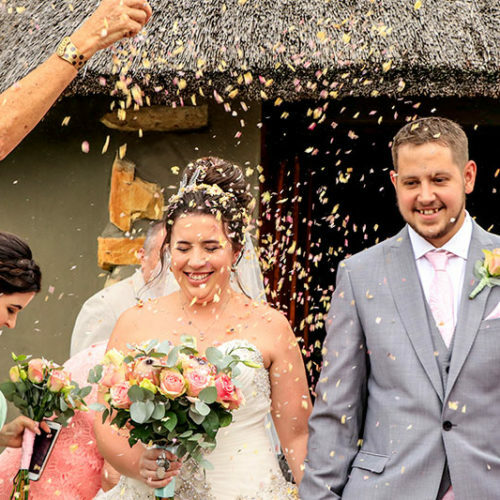 A selection of local wedding planners, who know the venue intimately, can be recommended to make your planning easier and less stressful. Please note: The Park is a reserve, filled with natural vegetation, fynbos and a variety of animal life. 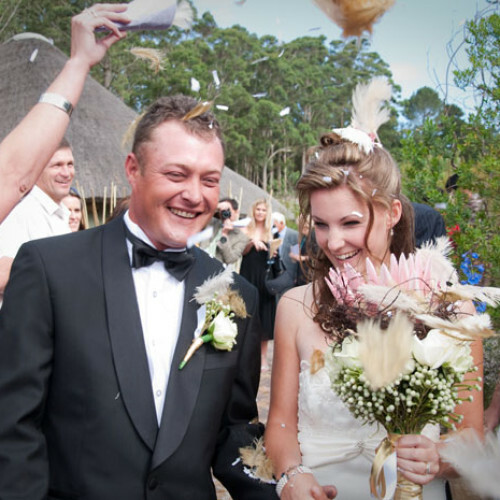 For this reason we only allow the use of natural materials, such as petals or bubbles, as confetti. The exclusivity of the wedding venue does not allow for guest cars. Transport for your guests to and from the venue is included in the wedding package, as is transport for the bride before the ceremony. 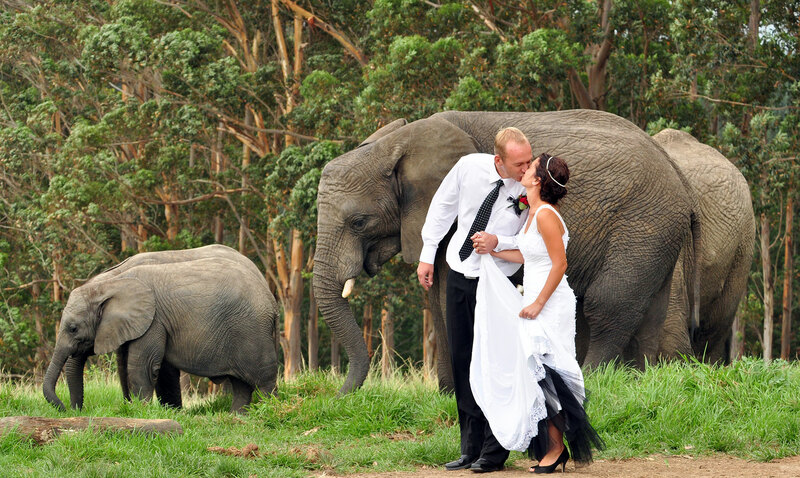 Our resident herd of elephants can pay tribute to your vows if you wish. 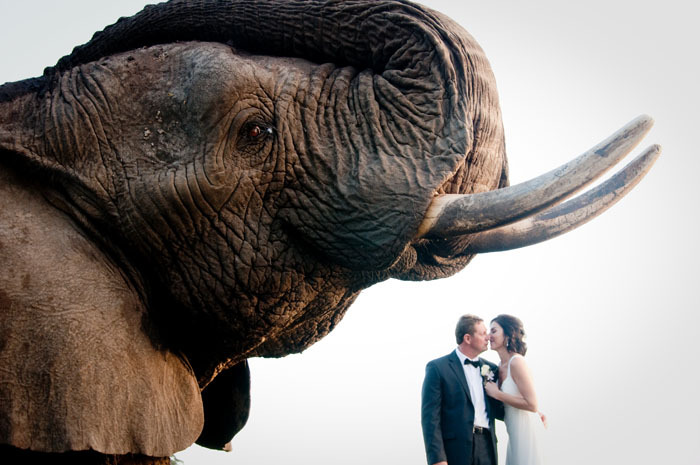 There is nothing more wonderful than a special occasion being blessed by these gentle giants. 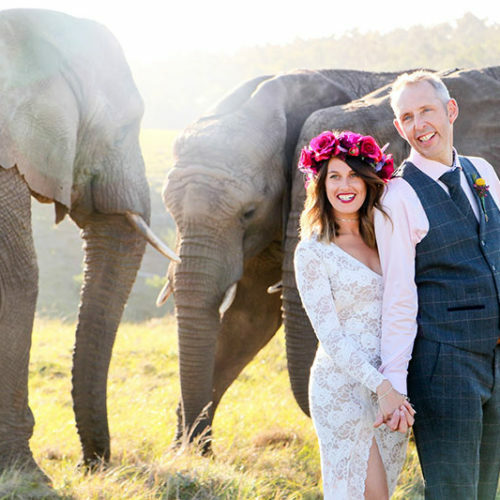 Depending on the sequence of events, your guests can meet the elephants before or during the reception. 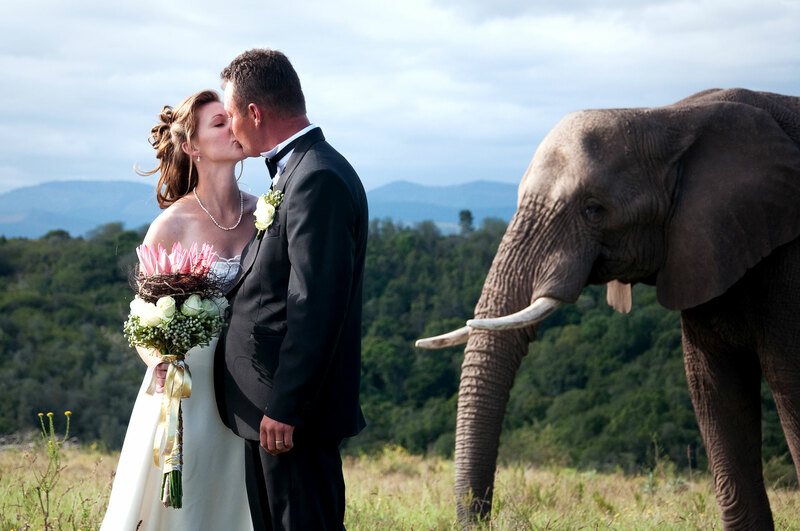 Our elephants can also be part of your wedding photographs. 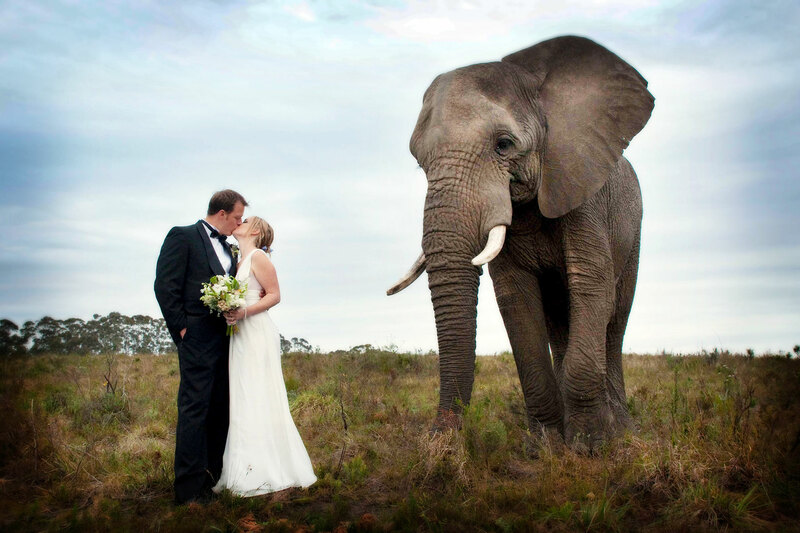 These gentle giants provide a spectacular backdrop for that one of a kind wedding picture. You can make use of your own photographer, or a photographer from the Park can be made available on request. 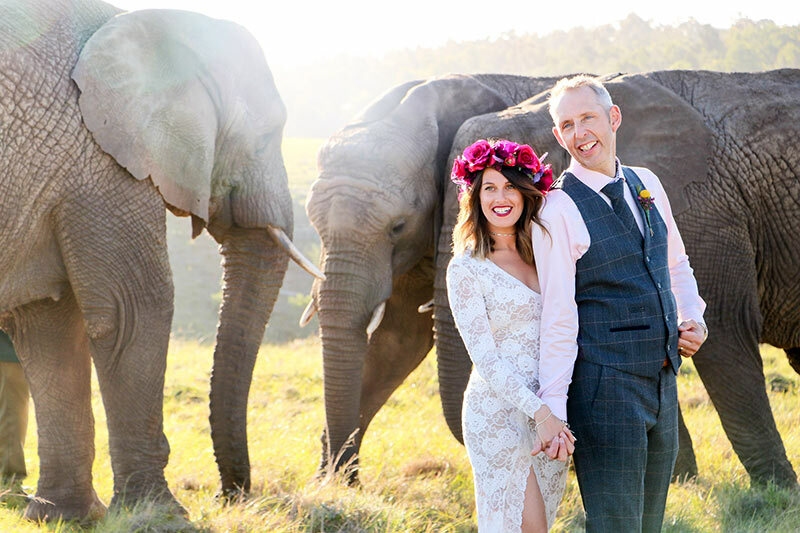 Exclusive photography packages can be also tailor-made for couples that hold their ceremony elsewhere, but would still like to include the elephants in their wedding photographs. 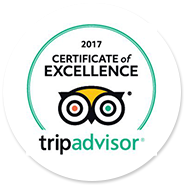 Please note: Due to the highly specialised nature of this experience, bookings are essential and terms and conditions do apply. This option is only available after 16h30. Elephant welfare policies and guidelines also apply. We strive to maintain natural behaviours for our elephants – no artificial poses or behaviours will be allowed during photoshoots. The elephants participate on their own terms, through positive reinforcement. 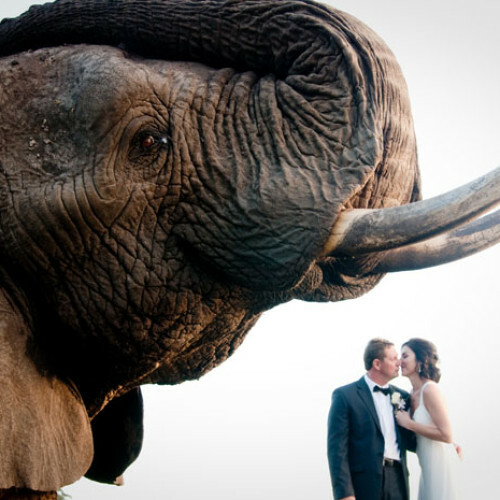 Unique accommodation for the bridal party and/or guests can be provided for in the Elephant Lodge. 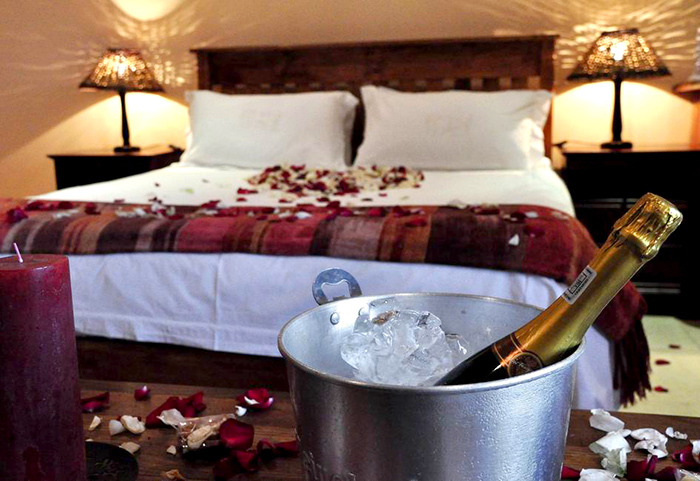 Included in your wedding package is the honeymoon suite, specially prepared for the bridal couple after the reception. Other rooms can be made available for bridal party preparations rooms, on request. 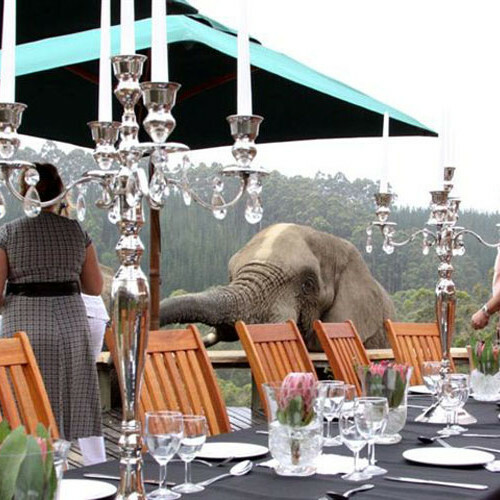 Rooms can be made available at a discounted rate for friends and family that want to stay over in the Elephant Lodge. 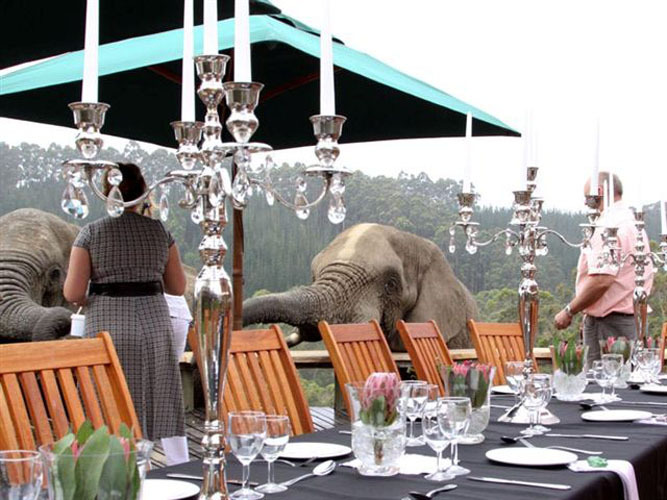 Wedding breakfasts, picnics and elephant experiences can also be arranged.